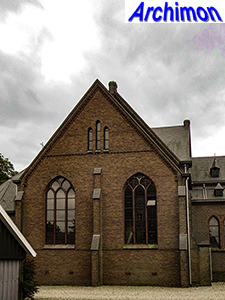 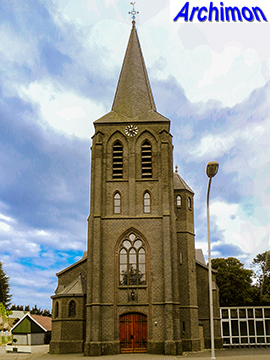 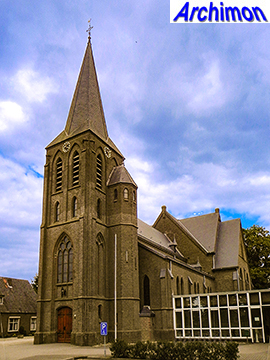 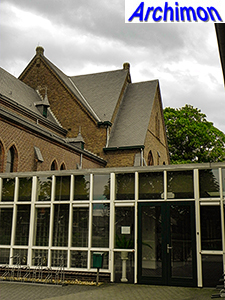 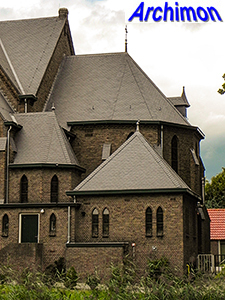 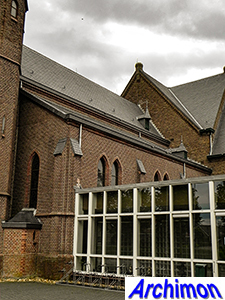 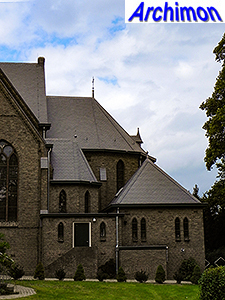 Until 1874 the catholics of Lemelerveld belonged to the parish of Luttenberg, about six kilometers to the south of their village. 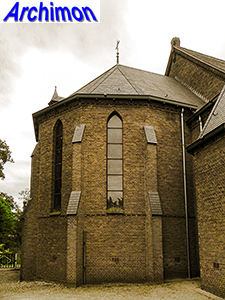 But that year the village became a parish in its own right, and a temporary church was built. 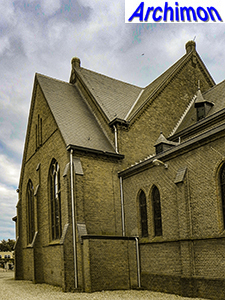 This church, which was built like a farm, soon became too small, and in 1884 a real church was built. 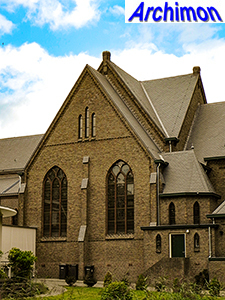 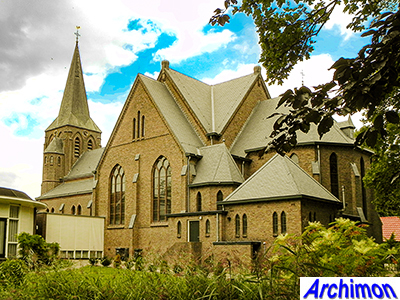 This church, a three-aisled pseudo-basilica, was designed in neo-Gothic style. 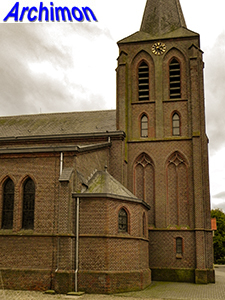 Its tower wasn't built until 1909. 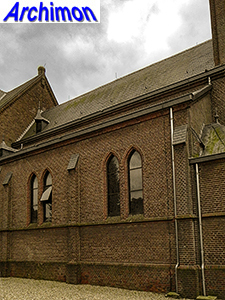 The following year, architect W. te Riele, a former employee of Tepe, replaced the fourth trave with the current transept. 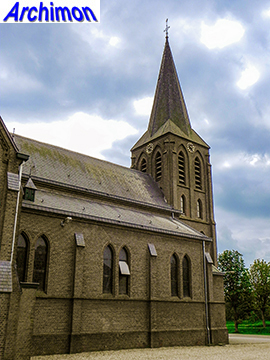 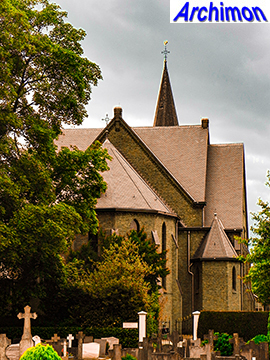 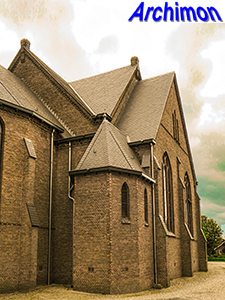 In 1929 the church was once more enlarged, this time by C. Hardeman, who added a new choir with lateral chapels and a sacristy in a more modern neo-Gothic style.